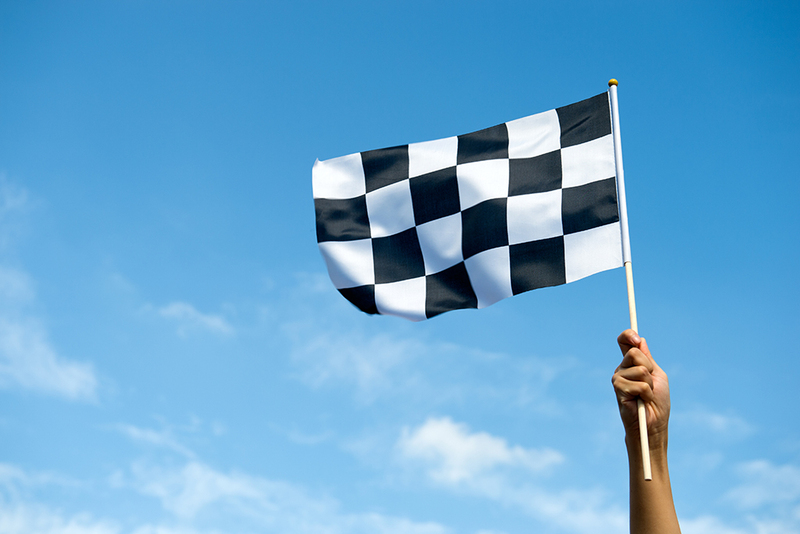 Visiting Budapest for the Grand Prix? 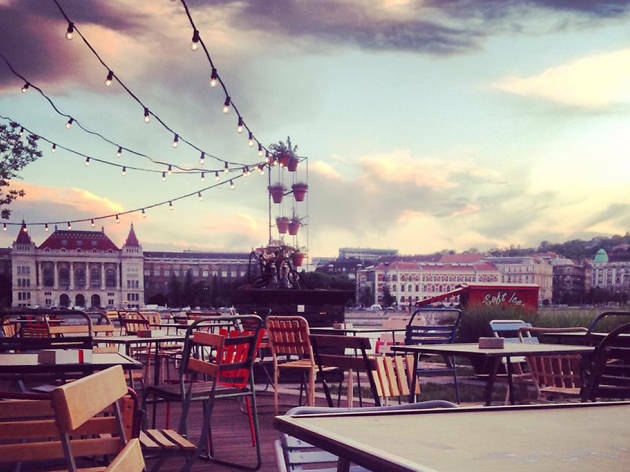 Get the most out of the Hungarian capital with our guide to the city’s coolest bars, unique boutiques and the buzziest events of the summer. A magyar nyelvű cikkért kattints ide! 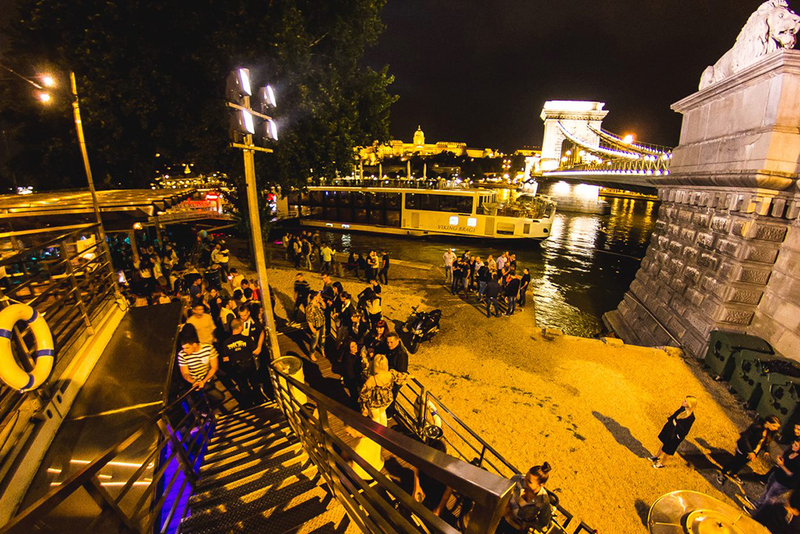 From its quirky “ruin bars”—beautiful drinking dens set in crumbling spaces—to the local design and exciting festival scene, Budapest is a city that pulses in the summer. 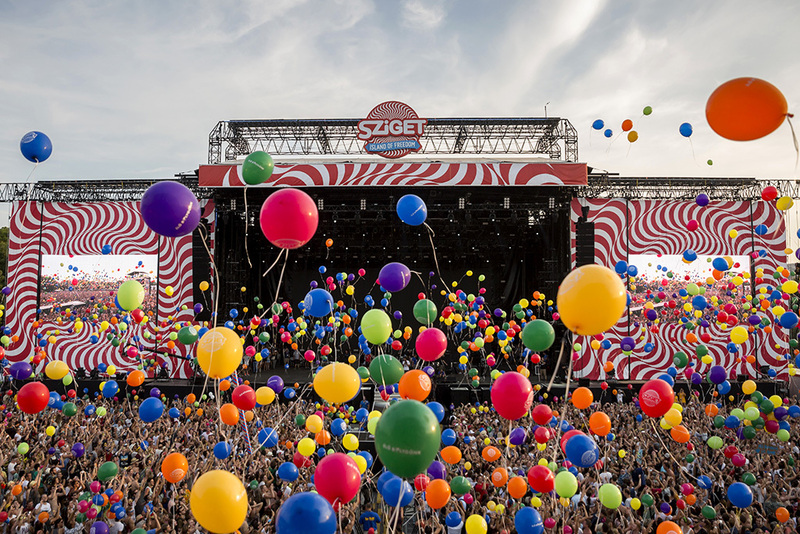 If you’re planning a quick three-day trip for the Grand Prix or the famous Sziget music festival, it can almost seem too much to take in. 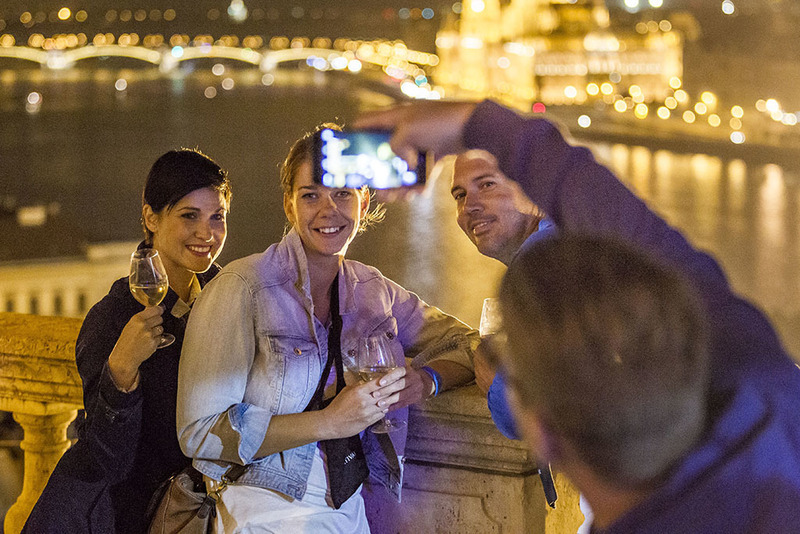 Don’t worry, we’re here to help you play with the time you have and experience Budapest at its greatest. 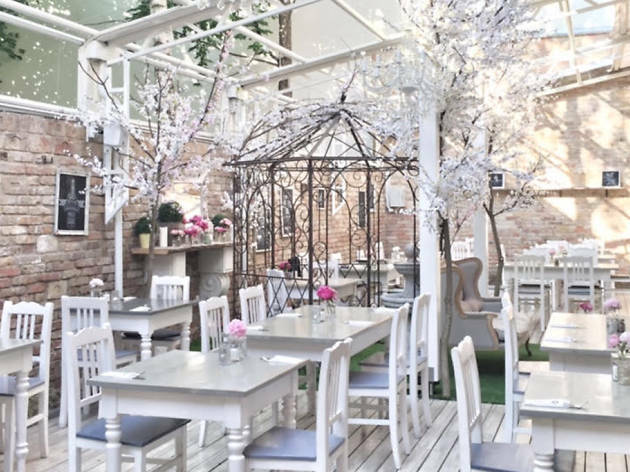 Whether you’re on the hunt for the hottest Hungarian designer threads or the best culinary experiences in town, or just looking for the best deck to sit on during the Aperitivo hour with a Martini & Tonic in hand, our expert 72-hour guide to Budapest has you sorted. 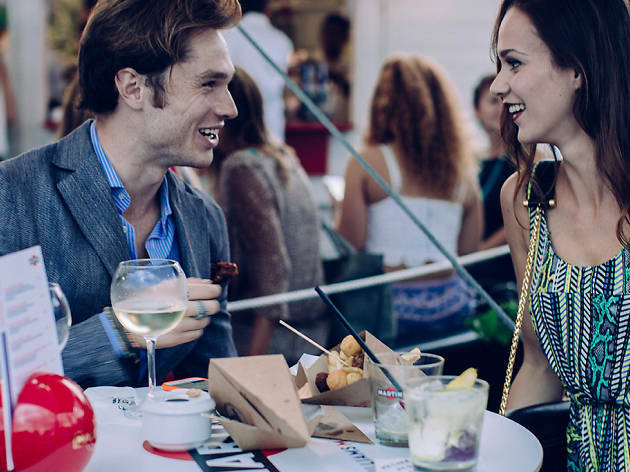 Get in mood for the Grand Prix by hitting up Kiosk (Március 15 tér 4, +36 70 311 1969) for the MARTINI PRE-RACE COCKTAIL party on July 23 at 9pm. 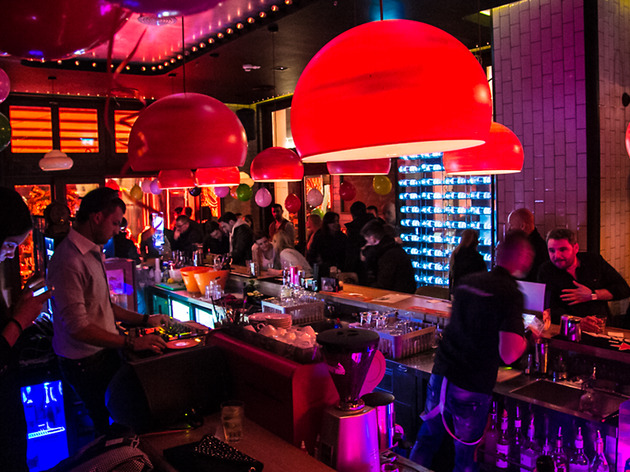 Sip on a Martini & Tonic in this industrial chic establishment and get ready to hear the engines roar. 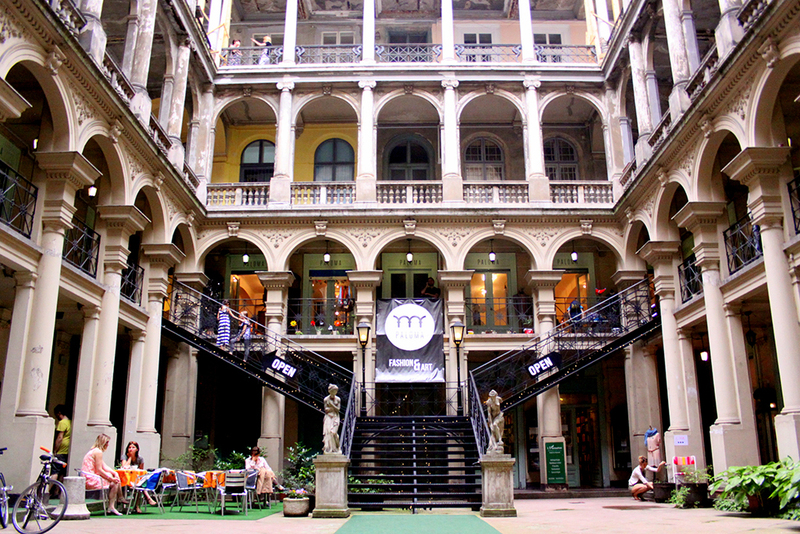 Located round the corner from St. Stephen’s Basilica, Tom George, otherwise known as TG Italiano (Oktober 6 utca 8, +36 1 266 3525),is a trendy eatery serving Italian food with a twist. The kitchen infuses Italian dishes with international flavors to bring about an exciting, new character in each plate. 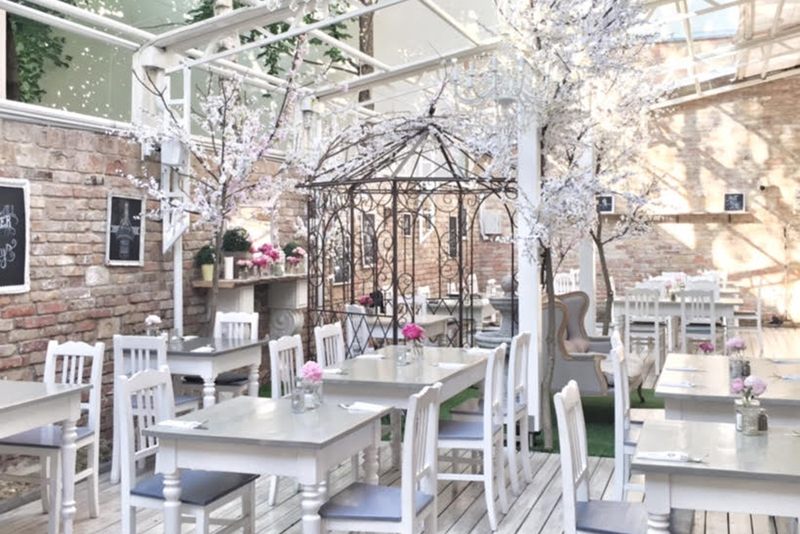 At first glance, Vintage Garden (Dob utca 21, +36 30 790 6619) might look like a designer boutique, but the shabby-chic space tucked away in the Jewish Quarter is actually a restaurant serving up a menu inspired by the kitchens of French bistros. 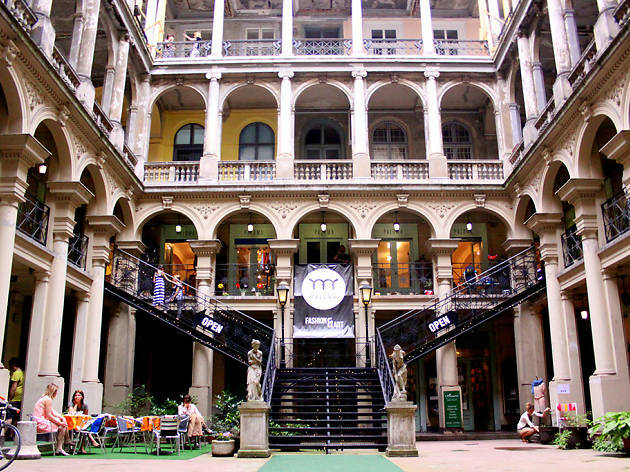 Its interior combines the feel of Provence with Budapest’s crumbling ruin-bar aesthetic. 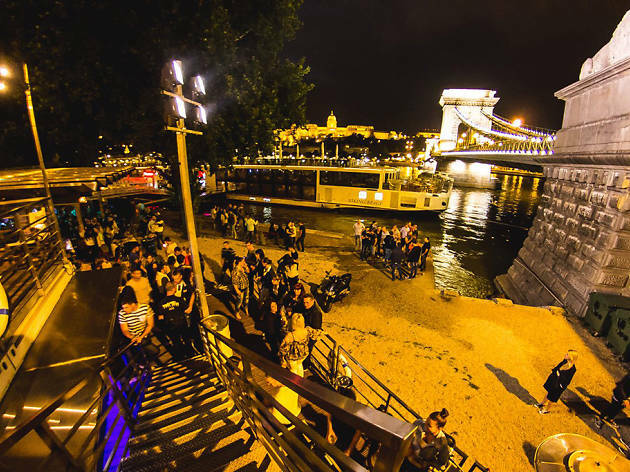 Raqpart (Jane Haining rkp., +36 30 464 0646) sits on the Danube Banks, just next to the iconic Chain Bridge, and offers panoramic views across the Danube to Buda Castle. 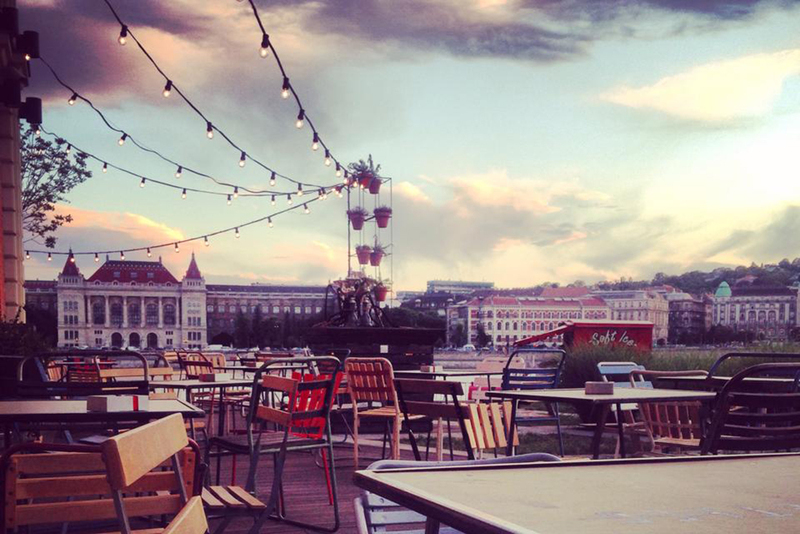 Enjoy a refreshing aperitivo at sunset with great friends and one of the best views in Budapest. 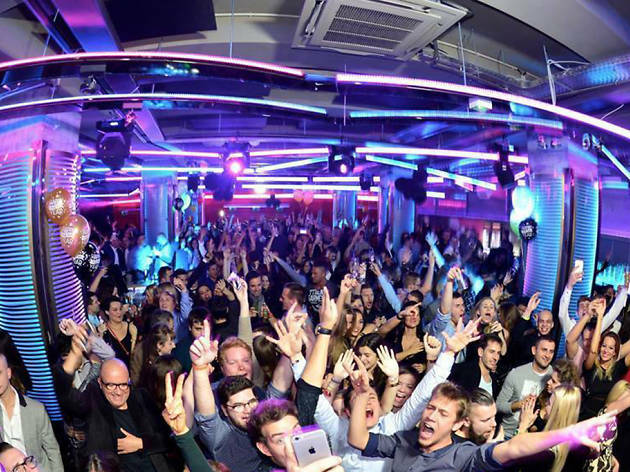 Dance the night away at Tesla (Kazinczy utca 21, +36 30 519 5922), a unique club located just behind the Museum of Electrical Engineering in the heart of the city’s party district. 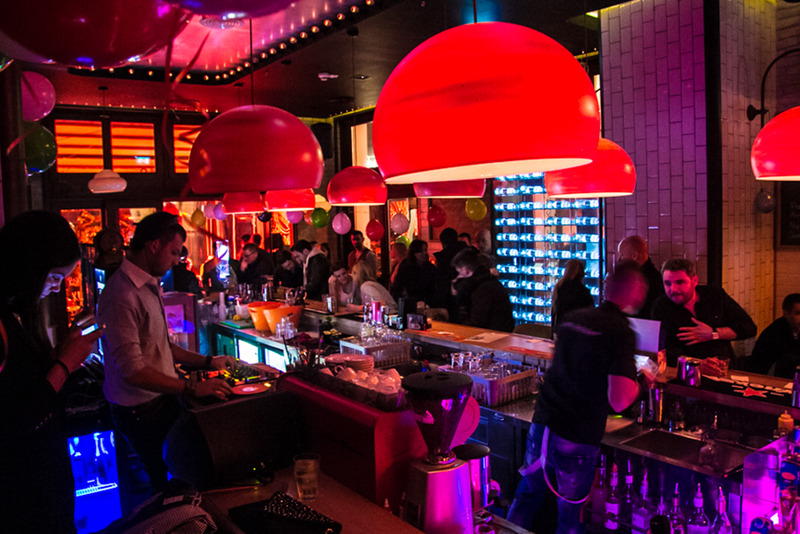 Tesla’s premium-quality Void Accoustics sound system, great drinks, industrial design and regular party series make it a great place for a wild night—and early morning—out. 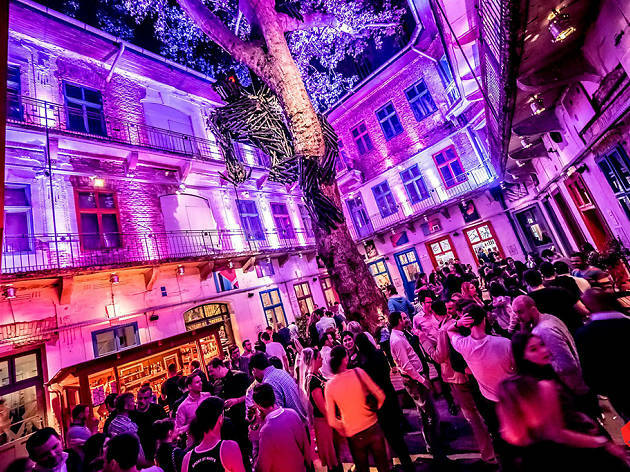 Doboz (Klauzál utca 10, +36 20 449 4801), meaning “box” in Hungarian, is a club following the “ruin bar” model in an old, derelict apartment complex. 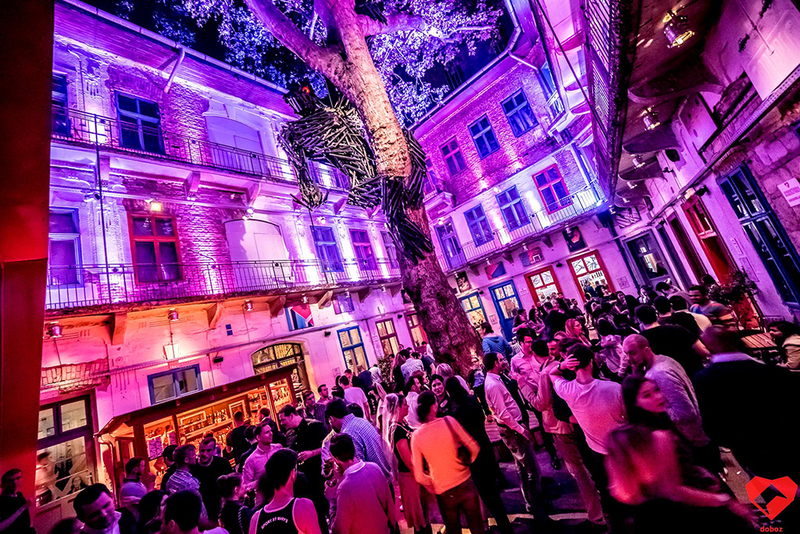 Centered around a courtyard, and featuring a huge King Kong sculpture hanging off a tree and various themed spaces, Doboz is a major player on the Budapest nightlife scene. 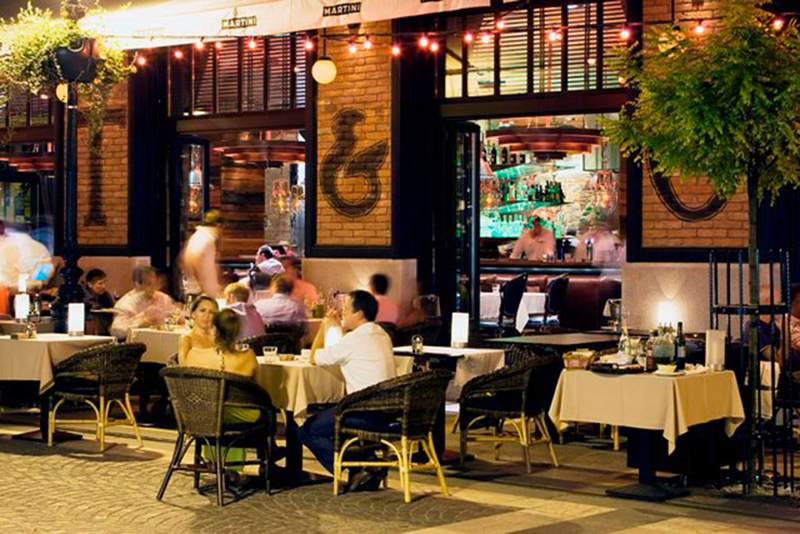 In the middle of downtown gastro court, Gozsdú Udvar, Klikk (Király utca 13, +36 30 444 7316) is a cozy American bistro by day and a popular club by night. Hungry? They serve a strong menu of American-Italian dishes, but it’s their freshly baked pizza that really stands out. 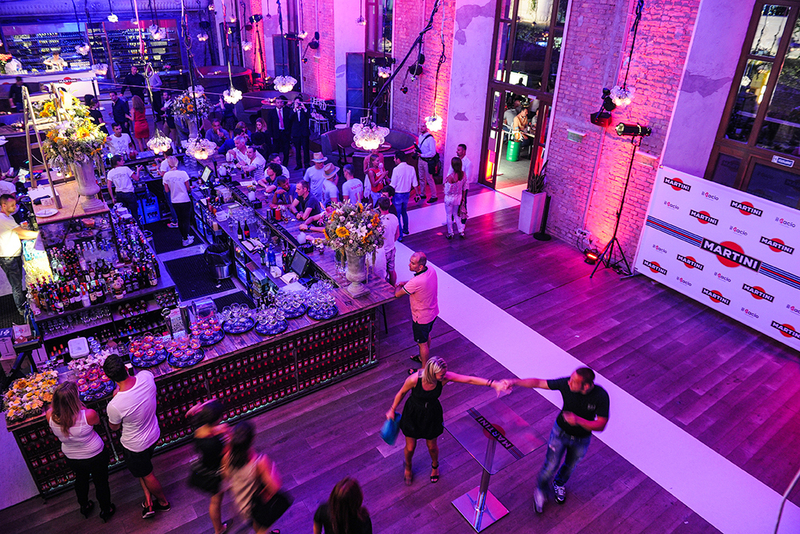 On the Danube Banks of the revitalized 9th District, enjoy a cocktail at Esetleg (Fővám tér 11-12, +36 70 413 8761) with a view over to Gellert Hill and Liberty Bridge. 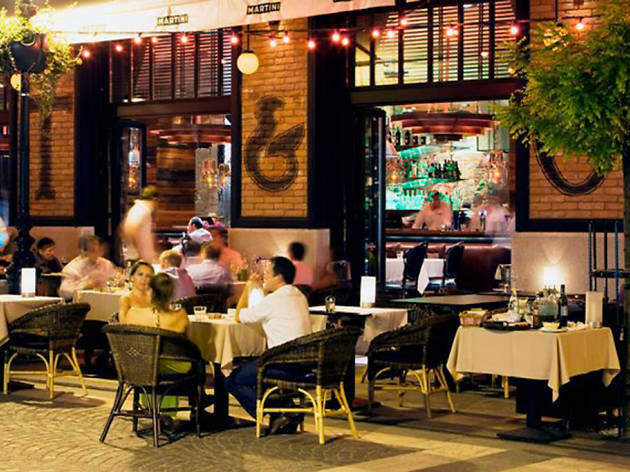 This bistro has a distinct French accent, and the kitchen focuses on fresh and seasonal dishes making it popular with local foodies. 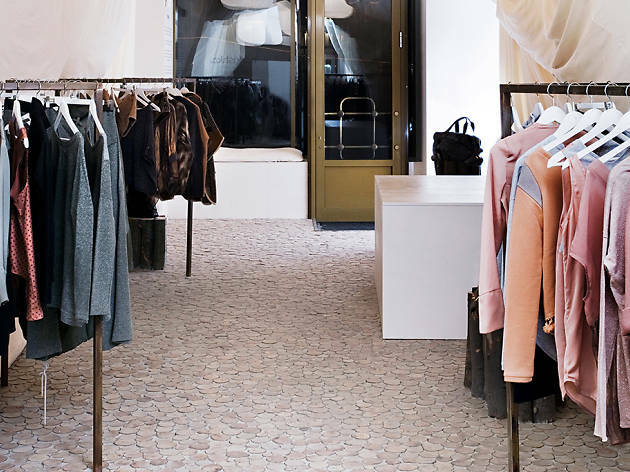 Hungarian designer Szandra Sándor, who goes by her childhood nickname Nanushka (Deák Ferenc utca 17, +36 1 202 1050), eschews trends in favor of playful cuts, lush fabric and elegant comfort. 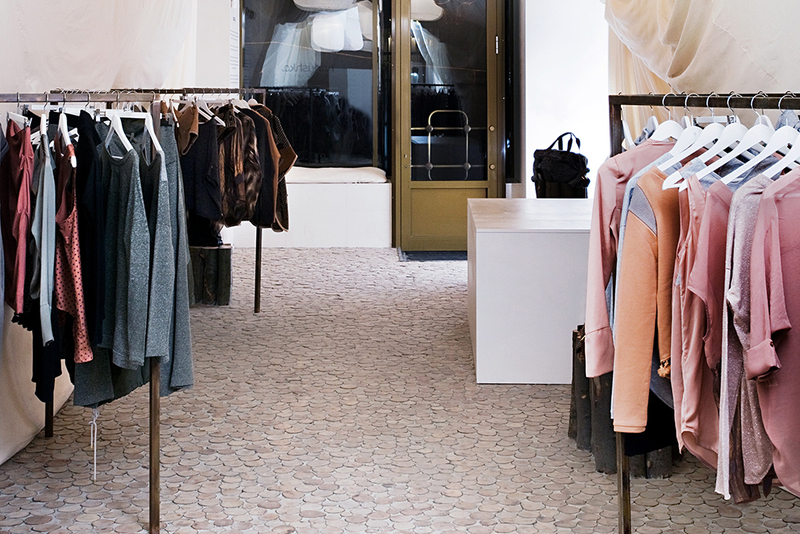 Her line caters to the “urban nomad” who feels at home anywhere in the world. 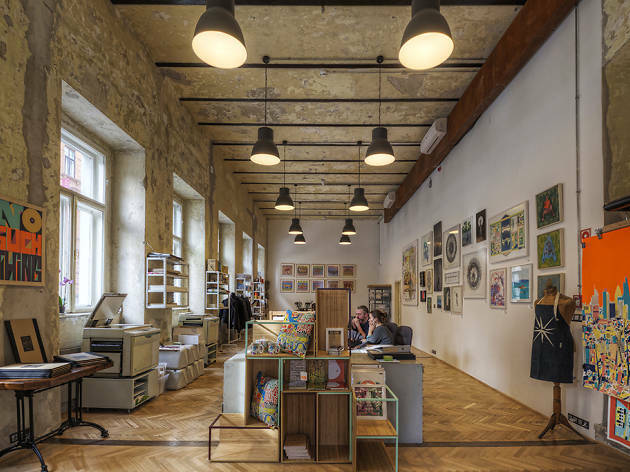 In a chic showroom on elegant Andrássy, The ArtYard (Andrássy út 66, +36 70 908 5946) print studio and gallery showcases a collection of prints, paintings, photography and illustrations for sale from local and international artists. All fine art prints are limited-edition and have been made on site. Tisza Cipő (Károly körút 1, +36 1 266 3055) is one of Hungary’s most successful brands. 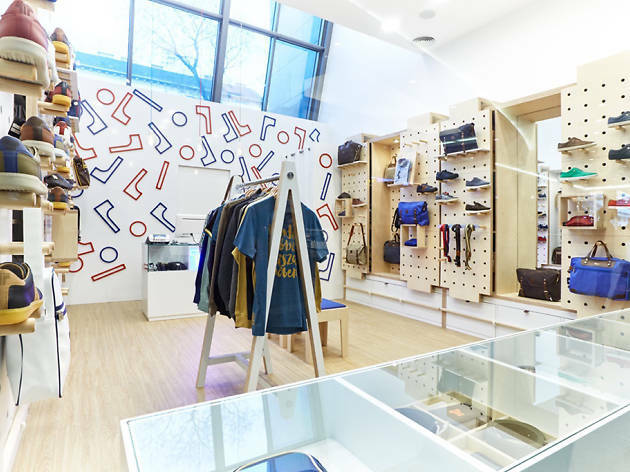 Specializing in trendy leather sports shoes and bags, the brand dates back to the 1970, when it offered shoes available on the communist market in Hungary. 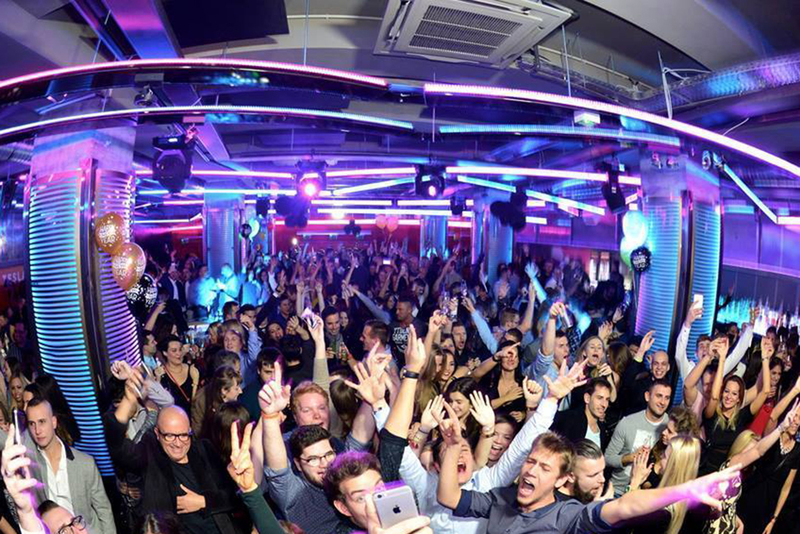 Since the early 2000s, Tisza Cipő has become popular among Budapest’s young and hip crowd. 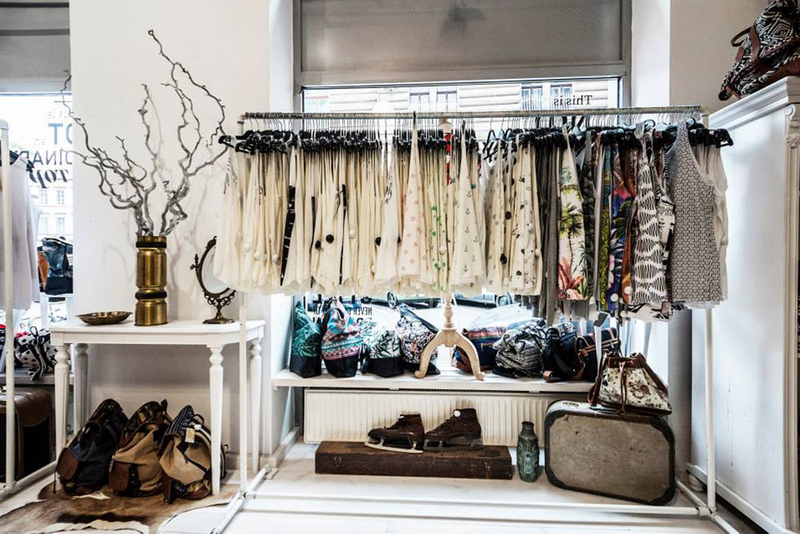 A creative hub located in a hidden courtyard, Paloma (Kossúth Lajos utca 14, +36 20 961 9160) is the place to discover modern Hungarian-designed clothes, bags, shoes and jewelry. 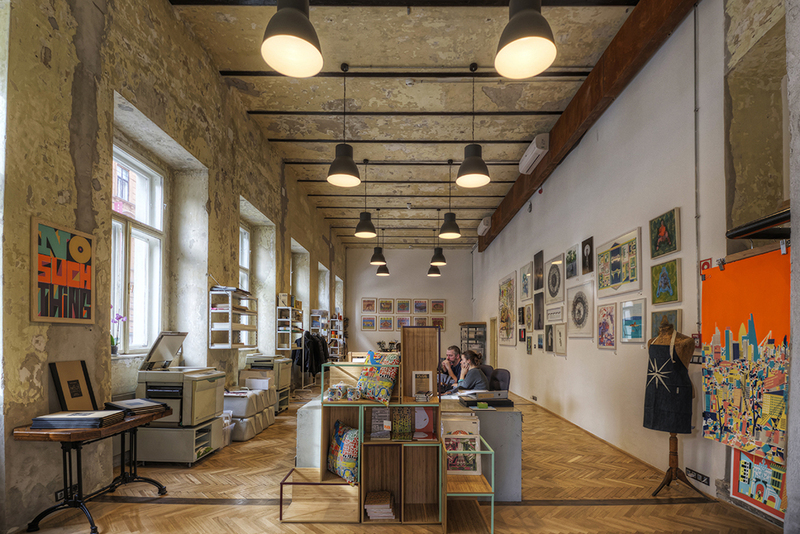 You’ll find over 50 up-and-coming Hungarian designers who share showrooms in the complex—and they’re happy to chat. 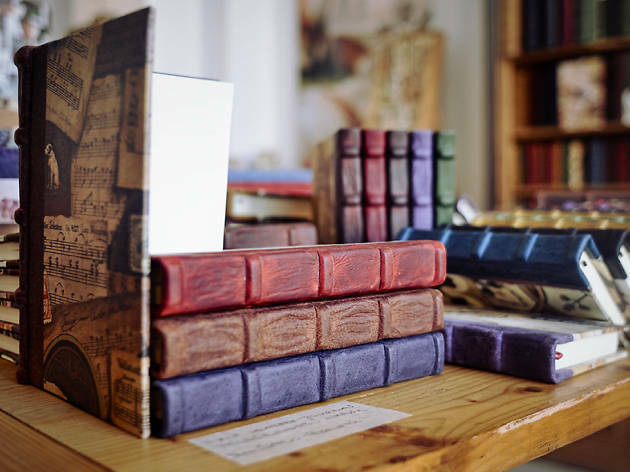 More than a stationery shop, Bomo Art (Régiposta utca 14, +36 1 318 7280) specializes in handcrafted journals, boxes, photo albums and quirky items like kaleidoscopes and praxinoscopes (a cool, old-school animation device). 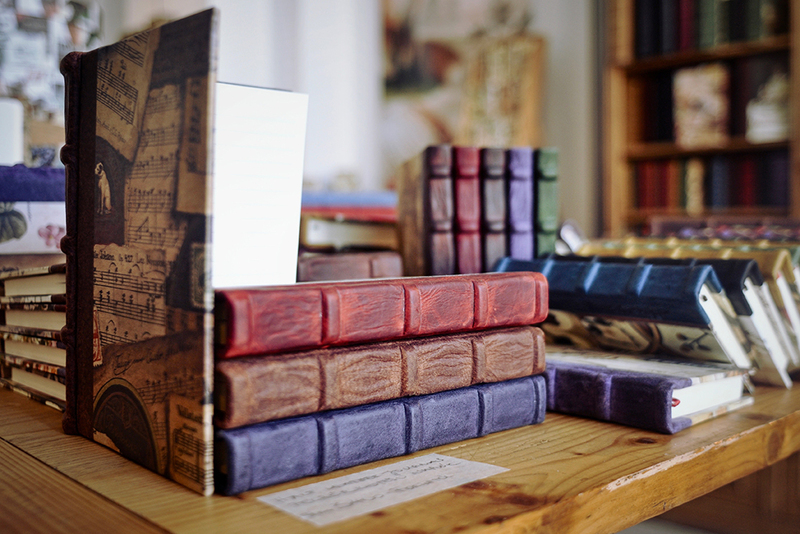 You’ll find these items in the tiny shop on Régiposta or the pop-up store in the Várkert bazaar. 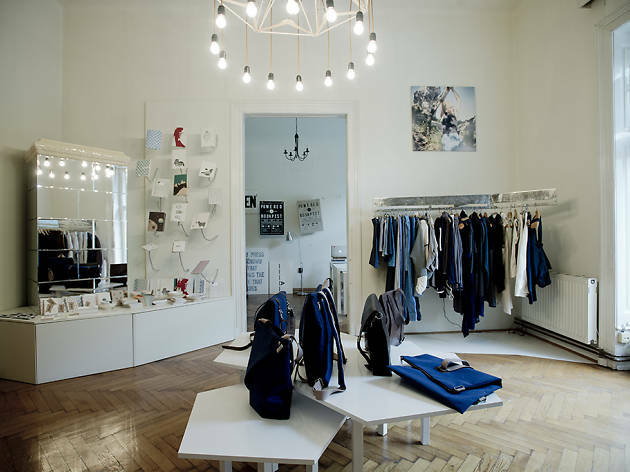 Szputnyik (Dohány utca 20, +36 1 321 3730) is a fashion concept store that sells vintage garments and cutting-edge contemporary designs all in one space. 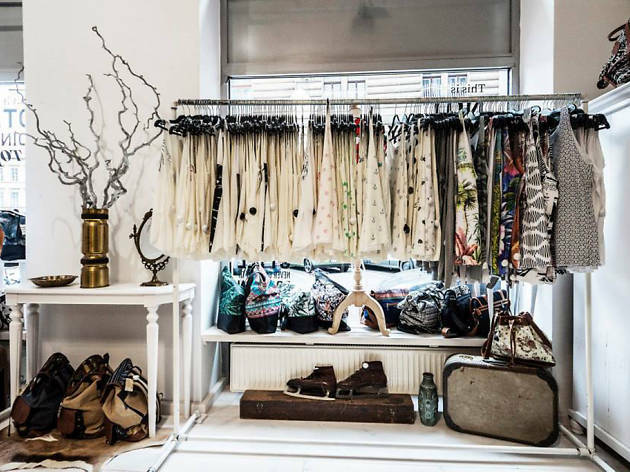 The combination means fashion lovers can pick up one-of-a-kind pieces with character that you won’t find elsewhere. 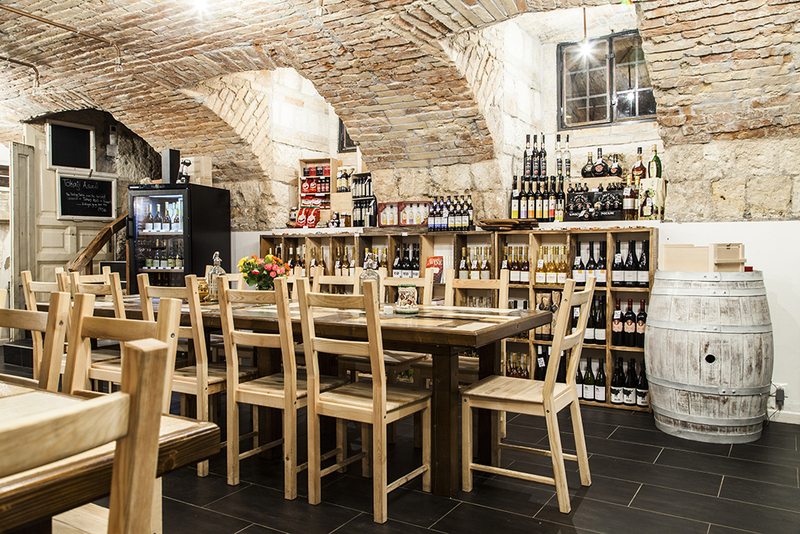 Set in a basement in the Palace District, Tasting Table (Bródy Sándor utca 9, +36 30 551 9932) is a hybrid wine shop, tasting room and event space. 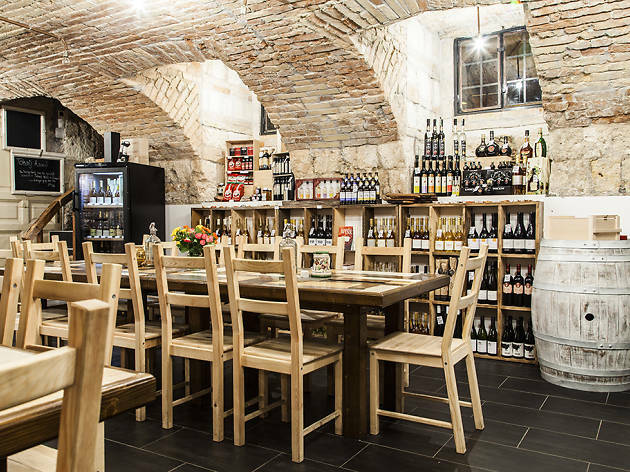 You’ll find a broad selection of Hungarian wines, including Budapest’s largest selection of the famous Tokaji Aszú wines. Drop in on Thursdays for their weekly tastings. 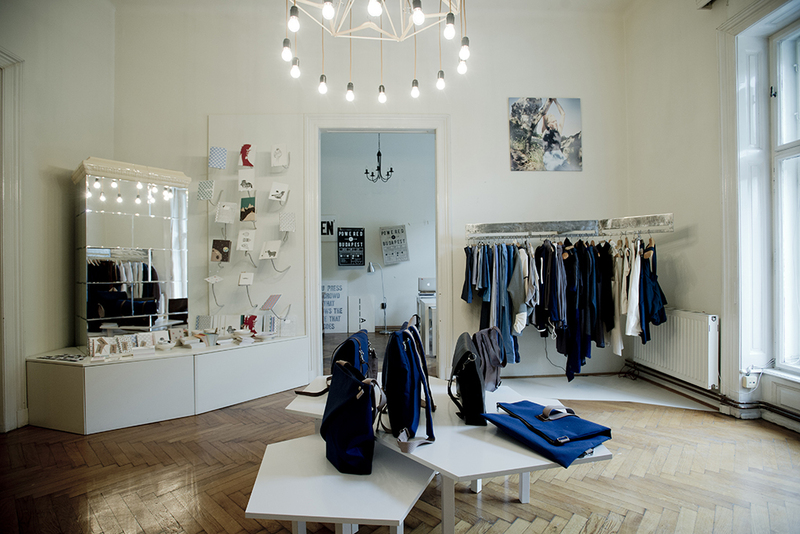 Founded by a group of freelance designers in a private apartment, Flatlab (Baross utca 3, bell 14, +36 30 949 4286) showcases contemporary Budapest design across clothes, accessories, prints or porcelain. 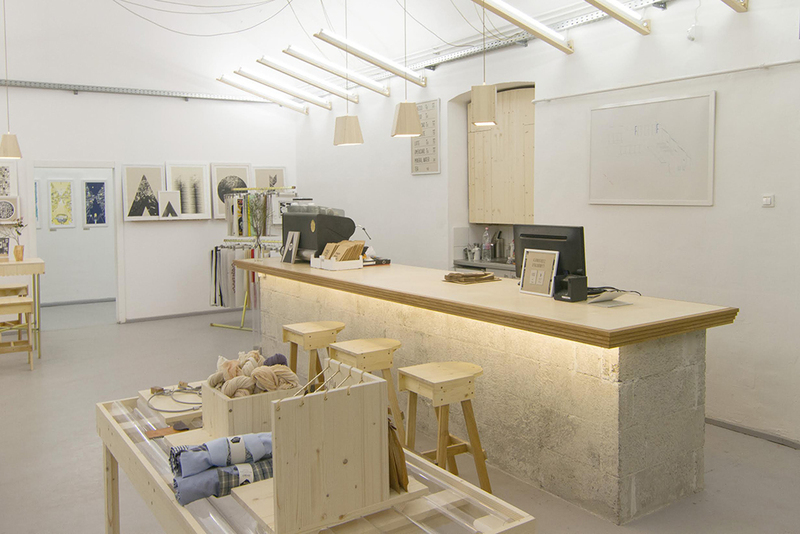 The office space, workshop and shop all rolled into one is open to anyone interested in contemporary Hungarian design. 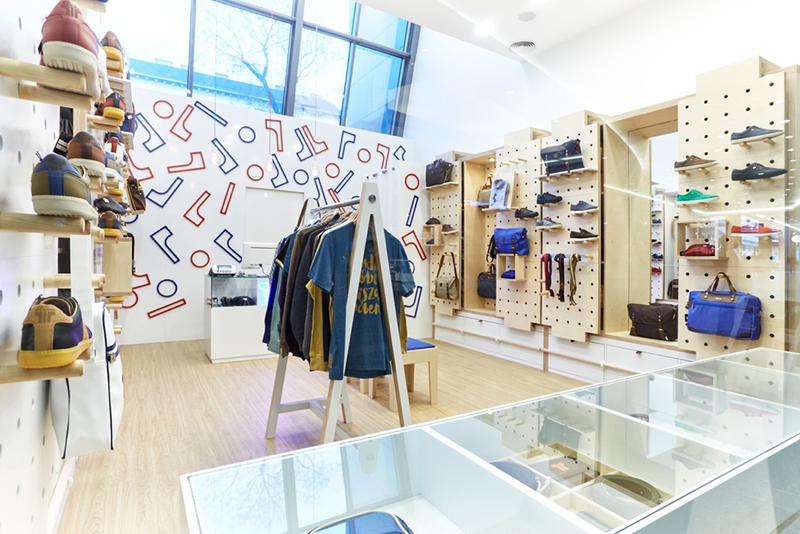 One of the city’s first environmentally conscious brands, Printa (Rumbach Sebestyén utca 10, +36 30 292 0329) offers a collection of silk-screen prints and eco-friendly fashion with a strong focus on the city of Budapest itself. 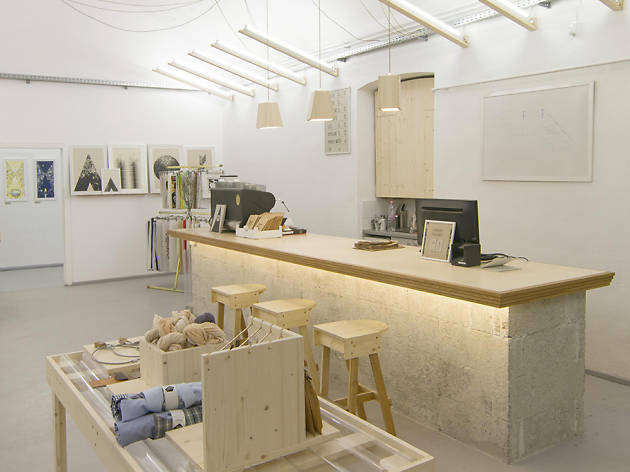 Printa is more than a shop—it also houses a café and a gallery on site. 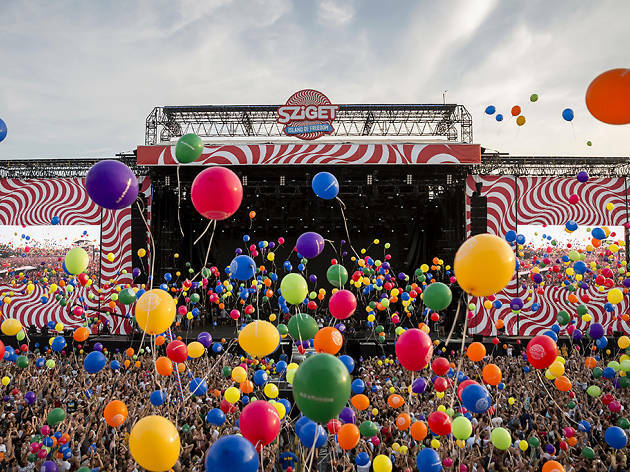 Transforming Budapest’s Óbuda Island into an “Island of Freedom,” Sziget Festival (Aug 10-17) has become one of Europe’s largest music and cultural festivals since launching in 1993. 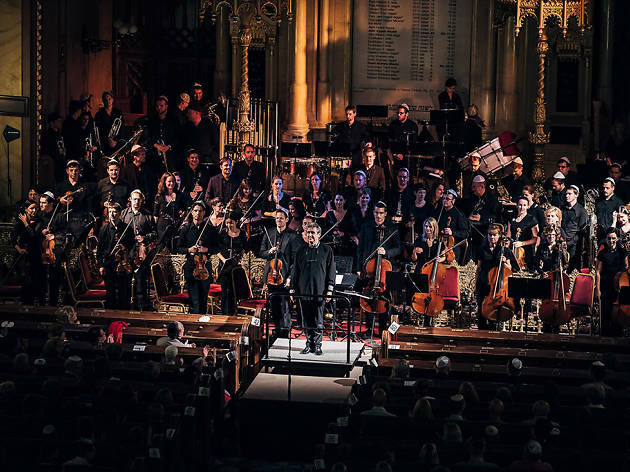 This year’s week-long celebration of interactive art and music sees acts like Rihanna, Muse, David Guetta and other big names headlining the various stages. 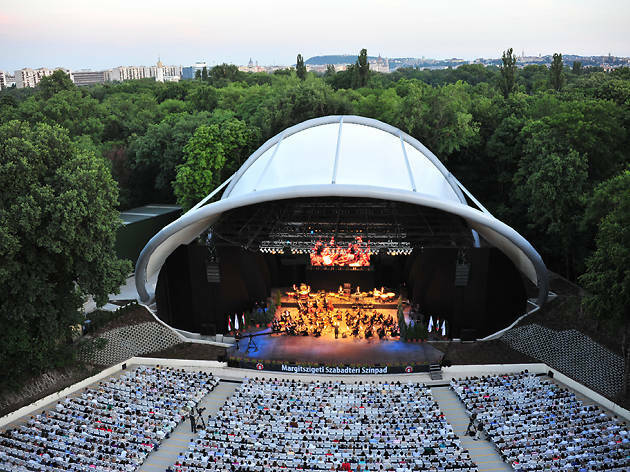 Budapest Summer Festival runs until the end of August with a collection of alfresco cultural programs held in the open-air theater in Városmajor Park and Margaret Island, and the Water Tower on Margaret Island. 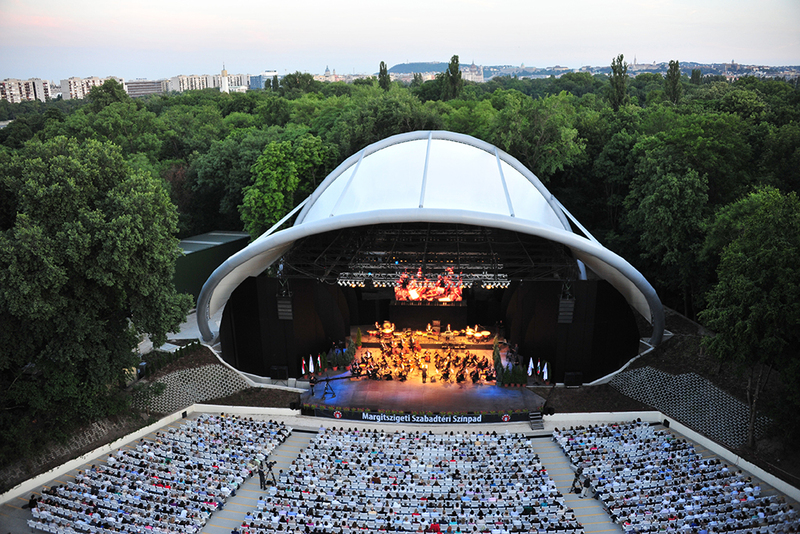 Diverse performances include opera and ballet, as well as jazz and circus shows. 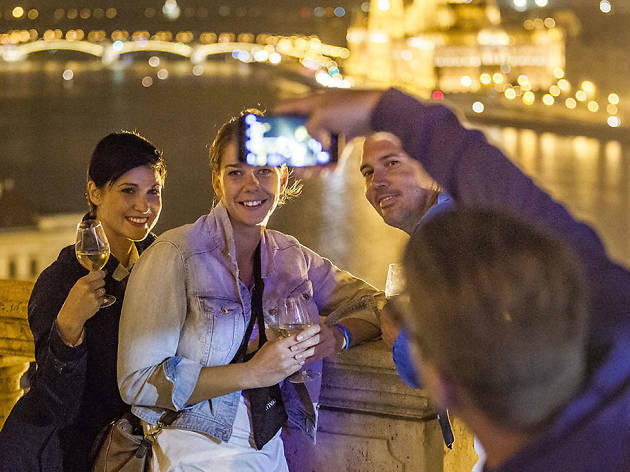 As Hungarian wines earn more prestige, the Budapest Wine Festival—held on the terraces of the Habsburg-era Buda Castle from September 8 to 11—offers the perfect chance to try some of Hungary’s best. 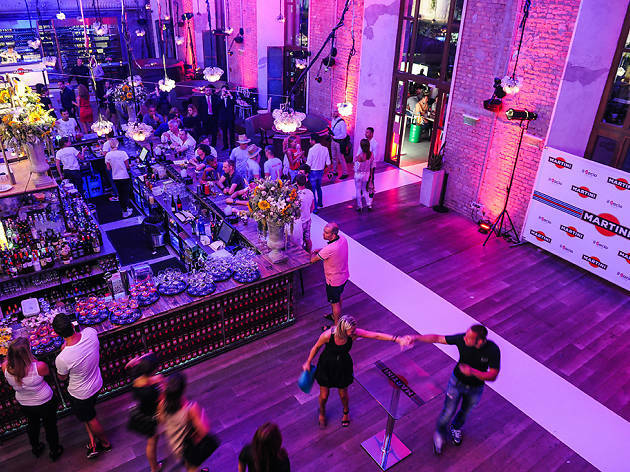 You’ll find around 200 wine cellars from Hungary’s various wine regions as well as some international names, along with great food and musical performances. The most prestigious racing event in the world needs no introduction. Since 1986, Hungaroring, located just outside of Budapest, has been home to one of the most exciting events on the Formula 1 calendar. 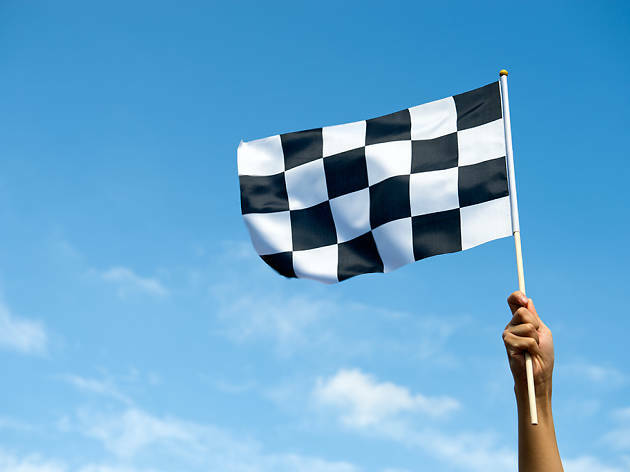 This year the race takes place July 22-24. 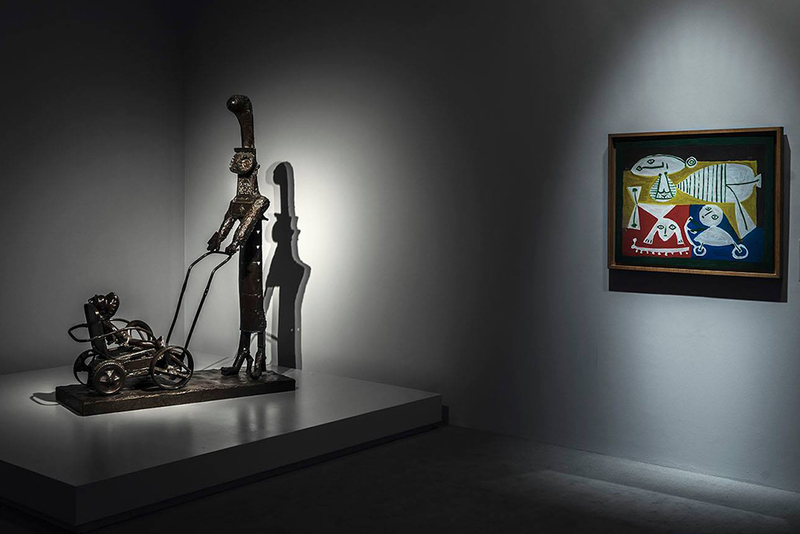 With over 70 works loaned to the Hungarian National Gallery by the Musée National Picasso-Paris, this summer exhibition offers a comprehensive journey through Picasso’s creative method—most notably his approach to figural depiction. 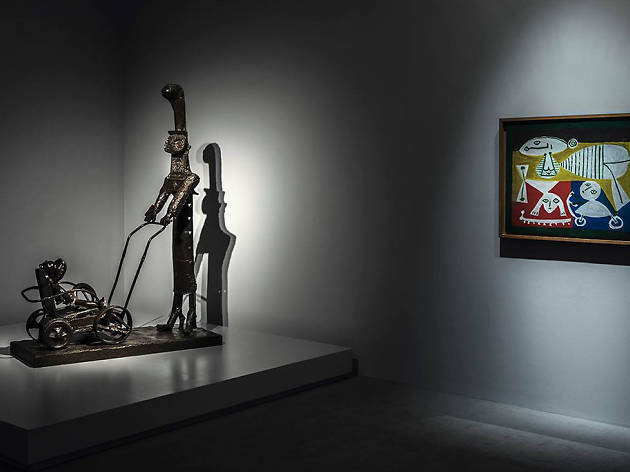 The “Picasso Transfigurations Exhibition” is presented in seven segments showing the chronological progression of the artist’s work. The Hungarian capital gets its place on the global triathlon map with this year’s Ironman 70.3 on July 30. The core route of the race traces the Danube River, past Budapest’s most iconic sites—beautiful, but also one of the toughest races on the planet. Running for more than 10 years, the Budapest Short Film Festival, BuSho for short, was created by a group of young Hungarian filmmakers looking to draw attention to short filmmaking in Hungary. 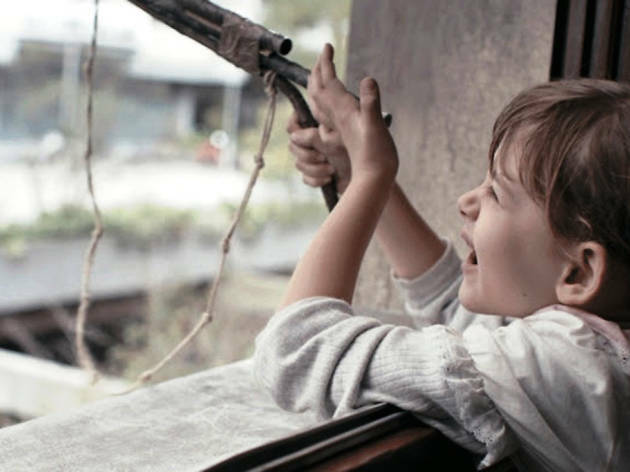 The festival, which runs August 30 to September 3, shows short films selected by a jury across genres including fiction, animation as well as experimental. 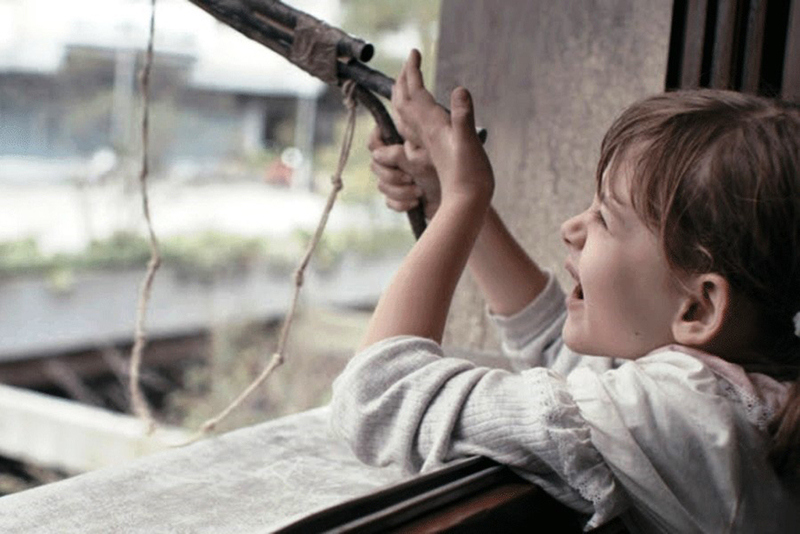 All films are screened in English or with subtitles. 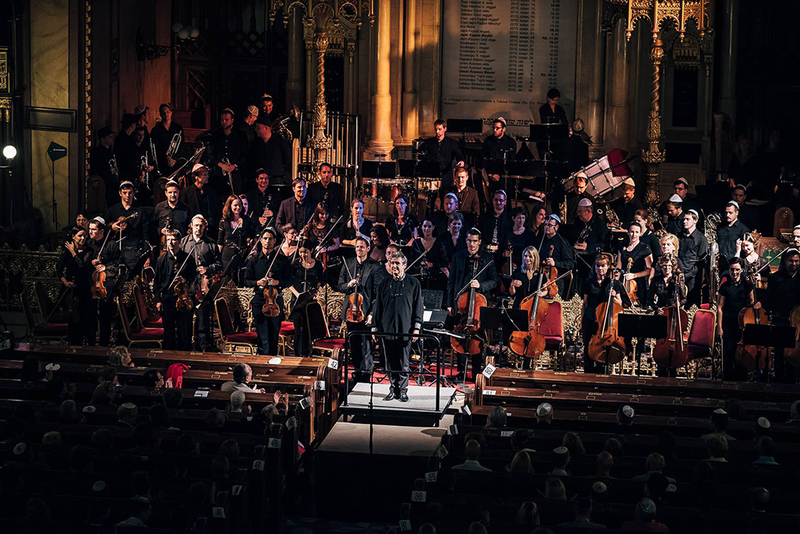 Held in the Dohány Street Synagogue (the world’s second largest synagogue), the historic Rumbach Street Synagogue and the Goldmark Hall, the Jewish Cultural Festival (Sept 4-11) presents a series of concerts such as klezmer and cantor music, along with film screenings and food events. Be Responsible. Never Drink and Drive.